Here is a collection of five true stories clearly illustrating the close nature of involvement between H.P. Blavatsky and the Masters of the Wisdom. Hundreds of such stories exist and are documented but just five have been chosen for this particular article. It was always maintained by Madame Blavatsky (referred to as HPB throughout the rest of the article) that the Masters are living in physical bodies right here on Earth, albeit in purposeful seclusion and isolation from the toxicity of everyday life. The modern idea of “Ascended Masters” is a false one and has been thoroughly explored and examined on this site in the article titled The Danger and Deception of Channelling. HPB always refused to accept praise or adoration or to acknowledge that there was anything special about herself. She would often self-effacingly say, “I am just a poor old woman who knows very little”…yet she was infinitely more than that and she knew it. Please see the articles Who are you, Madame Blavatsky? and Words from The Masters about H.P. Blavatsky in this regard. 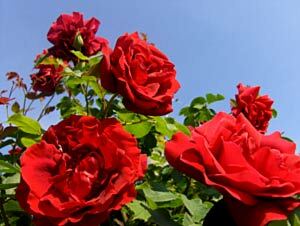 It is hoped that the following short anecdotes – all factual – will be a source of interest and inspiration to many. The seafront at Bombay (Mumbai) today. on the physical plane with her Guru, the Master Morya, who she had not seen in the flesh for some time. She told her young native helper Mooljee to drive her somewhere in a small carriage but would not tell him from the start the exact destination. Instead, as they set off from the headquarters of the Theosophical Society, she would give him a particular direction at each road junction that they came to…right here, then left here, then straight on, etc. 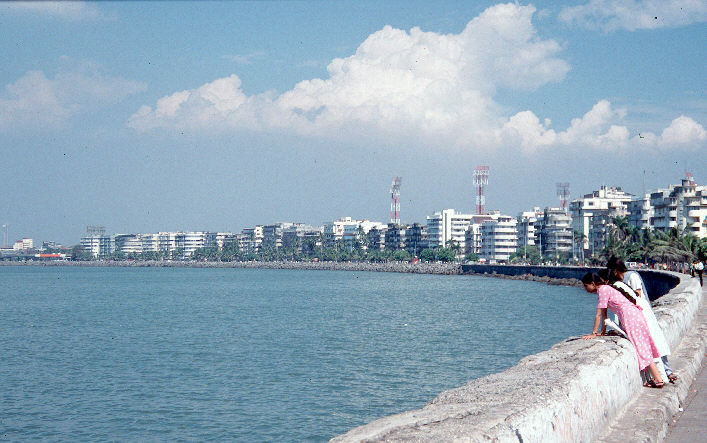 Passing through the city of Bombay, they came to a suburb, then travelled through a wooded area, often changing direction, until finally they neared the seashore. Eventually HPB told Mooljee to stop. They had reached the gates of a private estate with a rose garden at the front and an attractive bungalow in the background. Mooljee was mystified by the fact that he, as a Bombay resident, had never seen, noticed, or even known of the existence of this magnificent property before. He felt even more mystified when HPB firmly and repeatedly instructed him that under no circumstances whatsoever was he to follow after her or try to go up to the house. Instead, he was to wait there for her, until she had finished her business. From a distance he watched as she walked up to the front door, which was opened for her by a very tall and impressive looking Indian man, bearded and dressed entirely in white. It was the Master M. They both entered the bungalow and soon Mooljee noticed some gardeners at work in front of it and called to them through the gate. They came up to him but refused to tell him the name or any details about the owner, as they had been forbidden from doing so, having been sworn to secrecy. After a long time, HPB exited the house and stood for a few moments on the step with the Master. One of the gardeners cut a bunch of roses and took them over to the Master, who promptly gave them to HPB, telling her that they were a gift from him for Colonel Olcott, her associate and one of the co-founders of the Theosophical Society. Saying farewell, she returned to the carriage, where Mooljee was waiting and was taken back home. Later in the day, she explained to Olcott that the bungalow belonged to the Great Brotherhood and served as a temporary residence for any of the Masters who might at times have cause to be visiting or travelling through the Bombay area, just as we know the Master Hilarion did on occasion, as was written by the Master Koot Hoomi. She said that it was one of several homes around the world which they used in this way and that it was protected by a “maya” (which literally means “illusion” in Sanskrit) which was a controlled arrangement of the atmosphere in such a way that only the very few who were meant to be able to see and find it would be able to do so. Mooljee was convinced, however, that he would be able to find it again and took Col. Olcott with him to retrace his route with the expectation of coming again to that particular place. But, try as he might, he was never able again to find that bungalow by the sea. About a month after the bungalow incident, namely April 1879, the Master M. suggested to HPB that she pay a visit to the famous Karli cave temple, taking Col. Olcott with her. They set off by train with Mooljee and two other helpers, Babula and Baburao. The train stopped at Khandalla and they headed off towards where they would be staying for that night. Mooljee, however, returned to the Khandalla station in order to speak with the station master about something. While standing on the platform he heard his name being called and turned to see a train that had just pulled in but which was headed for Puna, in which was sat the same tall bearded Indian man dressed in white who he had previously seen from the gates of the mysterious bungalow. “These are for Colonel Olcott,” said the Master M., handing a bouquet of roses to Mooljee, who promptly took them to the rest house and gave them to their intended recipient. Olcott, awestruck by the generosity and kindness displayed towards him by the Master, wanted to write a note of thanks but didn’t know how it could be delivered to him. HPB took the note that Olcott had written, passed it on to Mooljee, and told him to start walking down the road with it. “But there’s no name or address on it!” protested Mooljee. “How can it be delivered or posted?” HPB simply insisted that he go. After walking a little way down the road, the Master suddenly appeared directly in front of him, as if out of thin air. Receiving the letter from the hands of the young man, he told him, “Now go back.” Mooljee started walking back but couldn’t resist the natural temptation to look back over his shoulder. There was no-one there. The Master, still on the train to Puna, had apparently momentarily projected his astral double in order to receive the note of gratitude. Not long after HPB’s first book “Isis Unveiled” was published and while she was still living in New York in the USA, prior to going to India, she received word from the Master M. that he wished Col. Olcott to do some business for him in another part of the country. Whatever it was, it sounded as if it would take weeks and Olcott felt concerned and reluctant because of the amount of money he would lose as a result of being away from his work in New York for so long. HPB asked him how much he would be likely to lose and he answered $500 for each month of absence. She reflected on the matter and told him that since he was not a pledged chela he did not have to go if it would mean neglecting his own business and that the Master would understand. Eventually, however, he decided to go. bank in order to check the balance of his account. The written bank statement which was given to him showed two credits of $500 each, which puzzled him greatly. 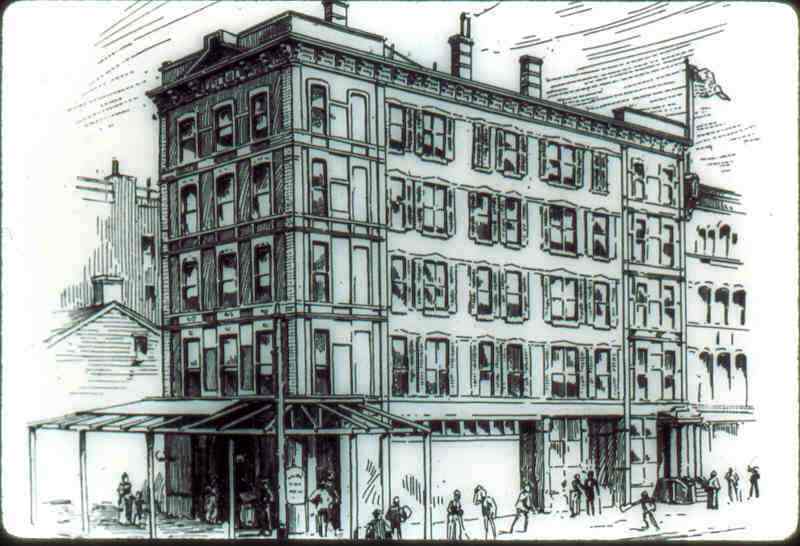 Asking where that money had come from, he was told that an unusually tall man of Indian appearance, with long flowing black hair, black beard, and very piercing eyes had been in the bank…an extremely unusual sight in 1870s New York! According to the bank employee, this man had asked the receiving teller to fill in the deposit slip for him when depositing the money into Col. Olcott’s account, as he said he was not sufficiently familiar with the English language to know what he was supposed to write on which parts of it. In 1870, HPB’s family – then living in Odessa, now part of Ukraine, but at that time belonging to Russia – had all but given up hope of ever hearing from her again. In the summer of 1868 she had been summoned to go to Tibet by the Master M. in order to receive indepth tuition and training from the Masters in preparation for her great mission as their Messenger to the world. Her relatives had heard nothing from her or about her since her departure and were afraid that she was probably dead. 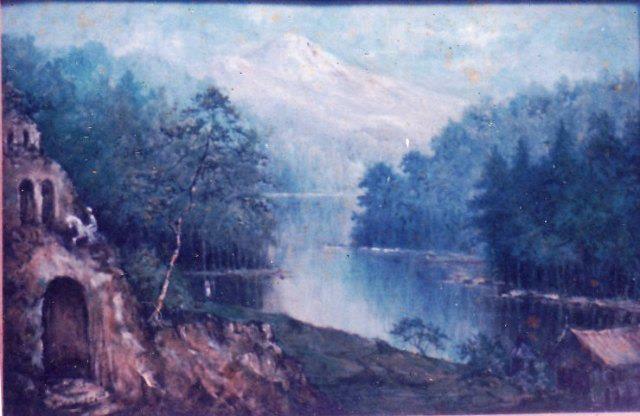 “A Ravine in Tibet” painted by the Master K.H.’s chela Djwhal Khul to show the homes of the Masters. HPB lived with the Master K.H. and his sister during her stay in Little Tibet, in the region of the Kunlun and Karakoram Mountains. Although the letter was unsigned, it was written in the handwriting of the Master K.H., as evidenced by this same handwriting being used ten years later by that particular Master when he began his lengthy and publicised correspondence with several Theosophists. The Master K.H. and his handwriting were therefore both known to HPB’s family a full five years before the Theosophical Society was even founded. How then can it be claimed that HPB invented the Masters out of her own imagination in order to draw attention to herself and the Theosophical Society?!? Besides, the Kuthumpas (followers of Kuthumi) still exist today, based mainly near Lahaul and Ladakh in the Trans-Himalayan region of the Karakoram mountains. In Austria, in 1886, the prominent Theosophist Franz Hartmann was conducting a series of psychometrical experiments via an elderly German peasant woman who had proved to be remarkably clairvoyant. Amongst other things, he handed her a letter which he had received from one of the two main Masters who were most closely involved with the Theosophical Movement and with HPB. Many people around the world received letters from the Masters during those days, the letters usually appearing in a very unusual and mysterious fashion, sometimes seemingly materialising out of thin air. The letter Hartmann had received had appeared suddenly and instantaneously on his desk one day. The clairvoyant woman had so far been able to accurately and perfectly describe the senders and scenarios involved with other letters – regular normal letters from everyday people – that Hartmann had received and in those cases he was already personally acquainted with the people who had written to him and knew full well from the start who those particular letters were from. But it was with great anxiety that he handed her the Mahatma Letter. Who was it really from? Was it really from a Master? Was there really a hidden esoteric Brotherhood of Adepts somewhere in the Himalayas, who were working with and through HPB and the Theosophical Movement? With intricate detail, she told how she saw a temple of oriental appearance on top of what looked like “a high but artificially made elevation or hill.” In her vision she found herself walking up some steps leading to the temple and entered inside it. Although it would take far too long to relate here all the details of what she saw (they can be found in full in the book “HPB: The Extraordinary Life and Influence of Helena Blavatsky” by Sylvia Cranston), one thing which was of particular interest to Hartmann was the woman’s description of two men who she saw standing together in the temple. One was a tall and “very fine-looking gentleman” of Indian appearance, dressed all in white. The description she gave of the other suggested a shaven-headed or bald-headed monk wearing dark robes. To Hartmann’s profound astonishment and awe, those drawn by HPB were 99% identical to those drawn by the old German peasant woman during her psychometric vision! Some of the Tibetan characters drawn by HPB. The articles The Great Tsong Kha-pa and Alaya – The Universal Soul include some further information about the Panchen Lama and Tibetan Buddhism in the light of statements made by HPB and the Masters. The new article Damodar and the Hall of Initiation is also closely related to some of these things. Very intriguing article. I will mention it to a couple of my fellow students on the Path when we meet later this month to plan our Pilgrimage to Sikhim and Shigatse in 2016. Nice article. Could you please state from where were these stories taken? Or are they all from The extraorinary life and influence of HPB? Some are from the book you mention – “HPB: The Extraordinary Life and Influence of H.P. 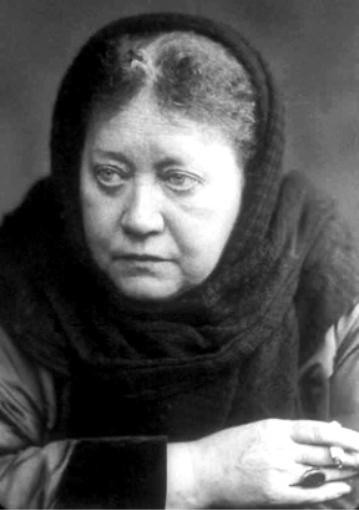 Blavatsky” (https://blavatskytheosophy.com/books-on-theosophy/) – whilst others are from Jean Overton Fuller’s “Blavatsky and Her Teachers” which, as a biography, is good in places and terrible in others.